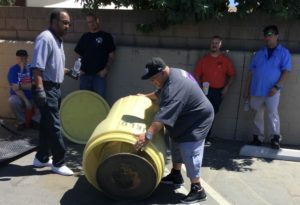 Representatives from UFCW Locals 7, 1167 and 1428 attended a chemical emergency response training sponsored by the UFCW Occupational Safety and Health (OSH) Office and the International Chemical Workers Union Council (ICWUC) of the UFCW during the week of August 7. 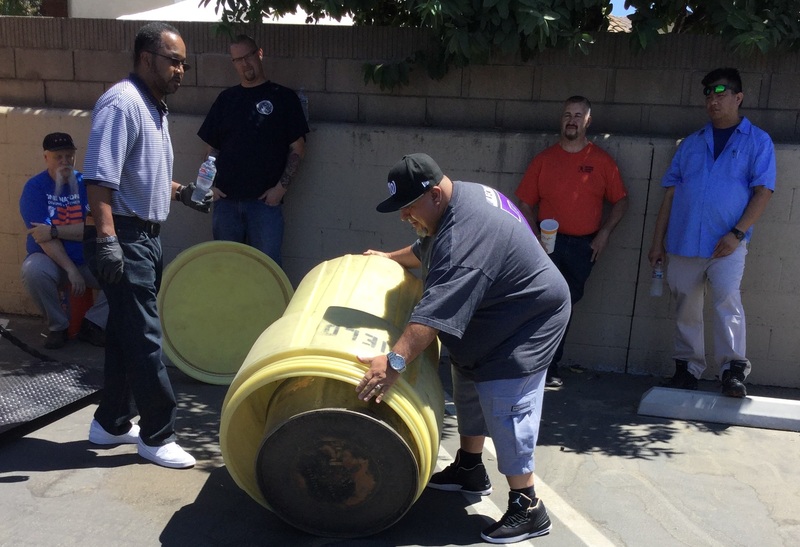 The training took place at UFCW Local 324’s office in Buena Park, Calif. The class was designed to teach union staff how to identify and respond to chemical hazards. Class participants learned about hazardous chemicals, respiratory protection, personal protective equipment, toxicology, and OSHA regulations. 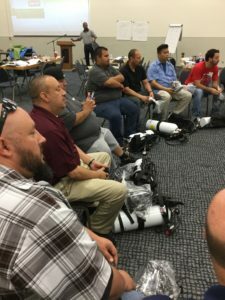 Class participants also took part in a simulated hazardous chemical release and containment exercise, donning a self-contained breathing apparatus and other personal protective equipment, and putting into practice what they learned in the classroom. This training is part of a long-standing partnership between the UFCW OSH Office and ICWUC. 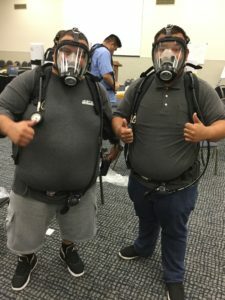 UFCW local union representatives and stewards throughout the country are recruited to attend chemical emergency response trainings, which are usually held at ICWUC’s training center in Cincinnati, Ohio. The program is funded with grants, which pay for participants’ travel and lodging. The UFCW OSH offi ce coordinates the program, which has provided training for hundreds of members and UFCW staff over the past 20 years. A key feature of this program is the collaboration of eight unions, universities and worker organizations. During this particular week, UFCW representatives were in class with members of the Coalition of Black Trade Unionists, American Federation of Government Employees, and ICWUC. The program is ongoing throughout the year. If your local is interested in attending a training, contact Fernando Tapia, safety and health program coordinator, UFCW OSH Office, at ftapia@ufcw.org.